Needless to say, the upcoming royal wedding of Prince William and Kate Middleton on the 29th of April is an event which news outlets all over the world will be keeping a close eye on. After all, the last major wedding event in Brittan took place 30 years ago, with Princess Diana and Prince Charles tying the knot. Of course, it’s safe to say that future brides, and maybe even a handful of grooms, will be eagerly anticipating the event to pick up a few ideas on their own parties and ceremonies. If you’re looking to draw inspiration from the upcoming event, here are a few ideas on how to put together your very own Royal-themed wedding. Your future wedding may not be celebrated in the halls of Westminster Abbey, but that doesn’t meant your own ceremonies can’t have the same grandeur and flair. The easiest elements to modify for your royal-themed wedding are your invitations. You can start by buying elegant handmade paper and using hand-calligraphy to write your invitations and wedding details. For a more personal touch, you can deliver invites by hand; similar to how royal families deliver letters through a messenger. You can even take things a notch higher by using wax to seal your invitation envelopes. For a more 18th century touch, you can use scrolls for your invites as well. Royal wedding receptions typically make use of rich fabrics and opulent decor to set a mood that exudes grandeur and class. Fortunately, these can be acquired without having to shell out too much money. 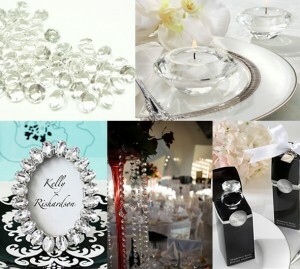 Feel free to use candles, colourful fabrics and other elegant decorations to set the tone for your wedding and reception. These are just two simple ideas you can play around with for your wedding. There’s plenty more you can do for a royal-themed wedding, so be sure to do your homework. Good luck!